Moving on to the next category, that being Best Supporting Actor, and I will be recognizing two actors from the same film that never appear on screen together, one of which will likely be receiving the Oscar (and rightfully so) and the other not nominated but his time in the film continues to stick with me. Here is the first of the two actors from the same film, this being the one that was not recognized with a nomination and unfortunately that isn't really a surprise. I'm sure many would question what makes this one performance more special than the others, as it is one of three actors to portray the main character Chiron throughout Moonlight, and it is important to note that I do not mean to slight Alex R. Hibbert or Trevante Rhodes in the least. 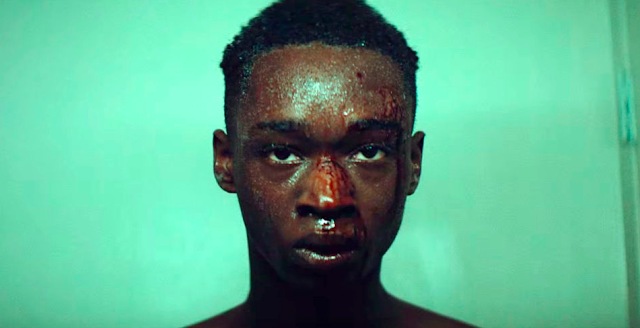 Every performance in this film is remarkable, truly every one, but for whatever reason the second act of the film really hit me hard and it is when Chiron is a teenager and being bullied at school, and Ashton Sanders plays it perfectly, sometimes while barely saying a word. It is basically impossible to recognize Casey Affleck without also pouring the same praises onto Lucas Hedges, and vice-versa. They each have their own individual brilliant moments in the film, but it's the chemistry they share together and the comedy and heart their relationship provides that make the film work so well, on a far different level than just another "tear-jerker". 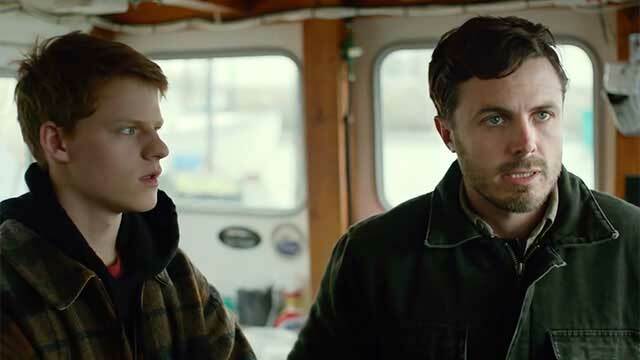 Manchester by the Sea is devastating but it will also make you smile and laugh quite a lot, and much of that is due to Hedges with a terrific performance as the nephew left behind by a mother living a very different life and a father who has just passed away. The Edge of Seventeen didn't shatter any box office records, but this film will find its audience and it should. It needs to. A tremendous teenage comedy that doesn't feel forced like so many do, like you can tell it is an adult writing what he or she believes teenagers are rather than having any real authenticity, the lead performance from Hailee Steinfeld was the most recognized piece of the film (and she is absolutely wonderful), but the scenes she shares with Woody Harrelson playing her teacher provide some of the most memorable moments from the whole movie. Harrelson doesn't really show any shocking range from the type of performance we already knew he was capable of, but he doesn't have to. What he brings to The Edge of Seventeen is sheer perfection and essential to making me love the movie as much as I do. 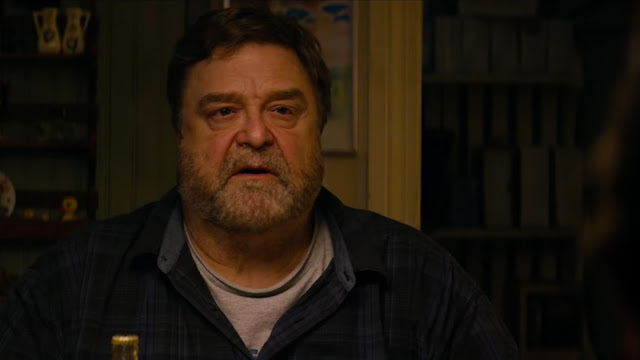 I recall back when 10 Cloverfield Lane was released last March, there were some articles buzzing about the Oscar prospects for John Goodman and I was immediately a pessimist no matter how much he deserved it. A perfect, terrifying performance, without a doubt, but one that would be overshadowed later in the year when all of the award season releases started hitting theaters, and sure enough that's exactly what happened. The good news is, fans of the film will never forget what Goodman delivered in 10 Cloverfield Lane. I sure won't. 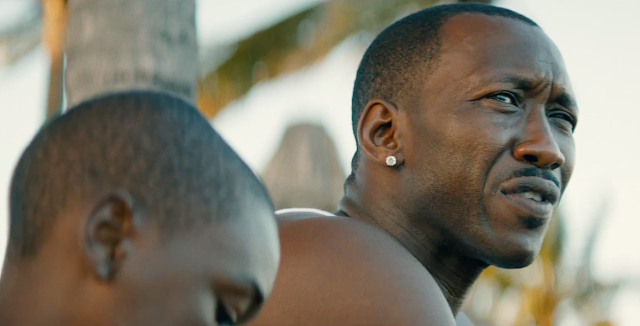 If you are yet to see Moonlight but have taken notice of all the awards and praise Mahershala Ali has received for his performance thus far, you may be shocked to find out just how little he actually appears in the film, as he is only in the first of the three acts. Don't be distracted by how much time he is there, but rather focus on just how there he is during that first formative and powerful part of Chiron's life. It's actually far more impressive that he does so much without being a presence throughout and without a showy, over-the-top "Oscar moment" to point to, but that's the compliment I can pay to the entire picture. It's just so real and honest and moving, and Mahershala is completely brilliant and worthy of the Oscar he will win. You know I've been struggling with what to call the three main actors who played the main character in Moonlight. In my mind all three are leading roles, they don't really support anyone but their previous selves. I don't know, Moonlight is a tricky one to think about, but I do agree with you that Ashton Sanders did a great job. He was my favorite out of the three actors. Unlike everyone else, apparently, I can't say that Mahershala Ali will win. I thought he did a good performance, but maybe it just isn't hitting me. I did love how he influenced how Shiron would be and act when he became an adult. That was cool seeing just how much of an impression his character left on Chiron. Out of these picks I'd probably have to go with John Goodman though. 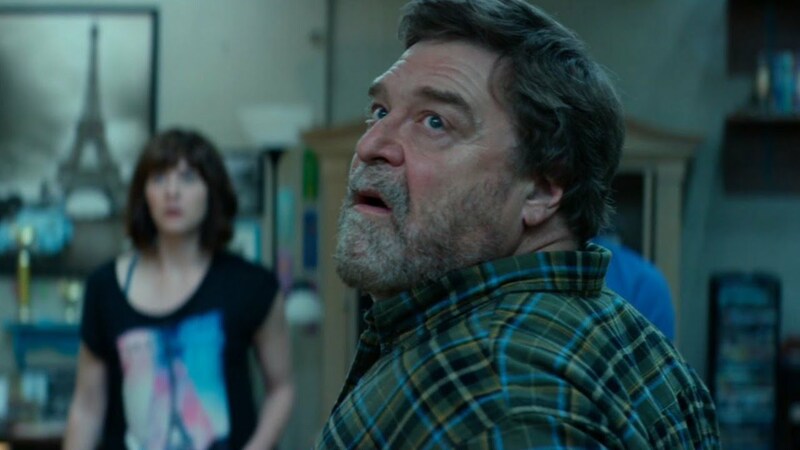 He freaked me out in 10 Cloverfield Lane and really gave the film its presence. I do agree that they probably should be all considered leads Cody, I guess I just went with supporting because the standard definition the Academy would point to in terms of screen time makes it hard to declare three separate shorter performances "leads"
I wish Goodman would have been nominated, what a brilliant performance.